Penile/vaginal pruritus is a common presentation as well. Urethritis is very suggestive of some type of sexually transmitted infection (that will be elaborated more below. *It is important to appreciate that some patients will be asymptomatic even thought the possess an infective cause of urethritis. While urethral swabs are not as common as they once were, it is important to understand how they can be a very quick way to characterize the type of urethritis a patient may possess (as either gonococcal or nongonococcal (each with its own individual diagnostic path). This procedure is exactly as it sounds. A swab is used to capture the infectious organism in urethra, and is then gram stained/stained with methylene blue for visualization under light microscopy. This can be done quickly at the initial clinic visit so that following treatments and diagnostic evaluations can be tailored to 1 of 2 paths! This will save time and money! Gonococcal urethritis: the utility of the urethral swab is that if the cause of the patients symptoms is a gonococcal infection, this can be visualized very quickly under the microscope. Intracellular/extracellular diplococci will be present in the urethral exudate (either gram negative or dark purple depending on stain used). From this point on the diagnostic path is much less vast. Nongonococcal urethritis (NGU): if the gram stain only shows white blood cells and no pathogens that can be visualized with a gram stain, then a different diagnostic path must be taken. 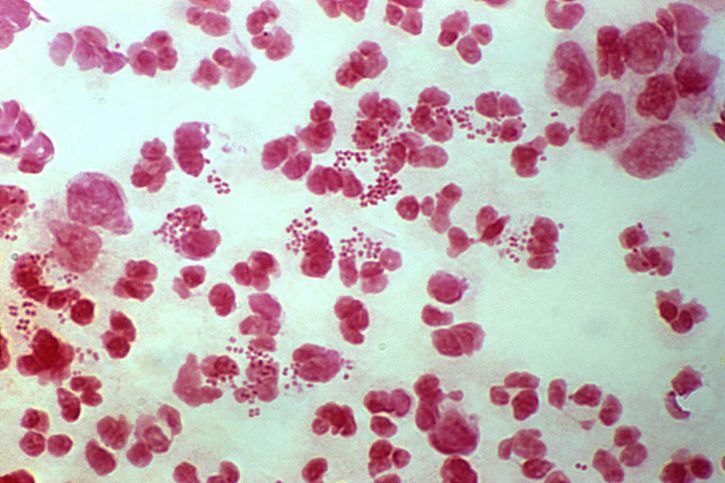 If microscopy demonstrates gonococcal urethritis, then almost certainly the cause of the patients symptoms is the bacteria Neisseria gonorrhoeae. Confirmatory testing can invovle a nucleic acid amplification test (NAAT) for Neisseria gonorrhoeae on first voided urine however the gram stain results are likely enough to begin treatment. Treatment involves a single intramuscular dose of ceftriaxone (250 mg) and a single dose of azithromycin (1 gram). This treatment also covers chlamydia. 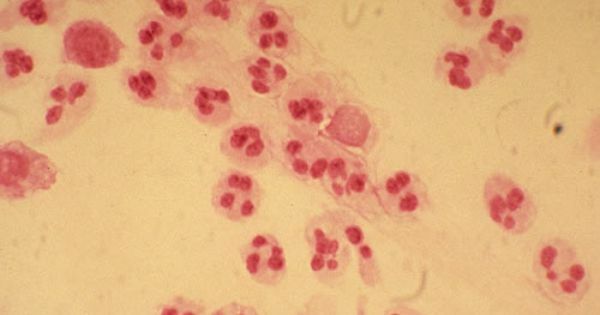 Chlamydia trachomatis is the most likely and often empirically treated. Herpes simplex virus can be the cause of urethritis (however generally a clinical exam will reveal signs of genital herpes). Non STI causes of dysuria: should all of the pathogens/processes above be ruled out it is important to appreciate that the below infective processes might also present with dysuria.